What a great decoration/gift for a baby shower/Mom-To-Be. Start with a wire wreath frame from your local craft store. Use festive colored ribbons and tie diapers on so the opening is on the outside and tie bow. Add large festive ribbon bow to the top and make a hanger loop at the back top. Would make a great inexpensive decoration for a babies room also. 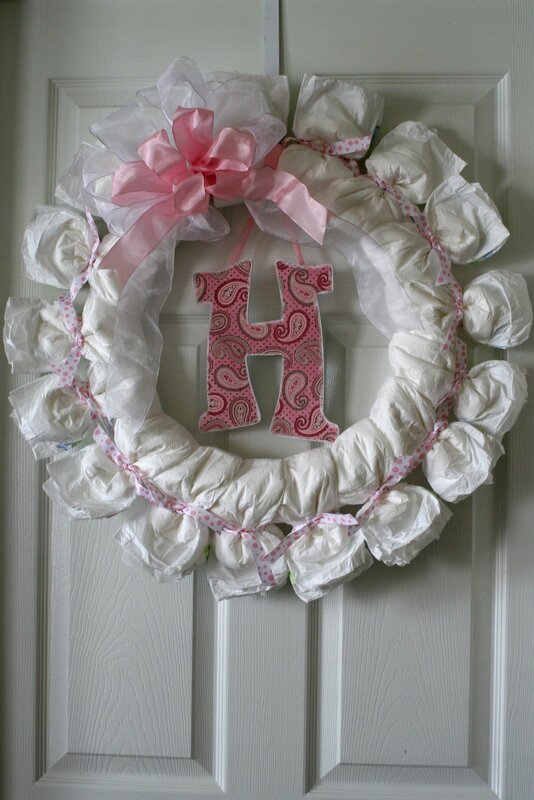 This entry was posted in Crafts ~ DIY ~ Projects, ~Baby and tagged baby room, baby shower, babyshower, children, decoration, Diaper, diapers, door, entertaining, gift, mom-to-be, mother, room, Shopping, shower, wreath, ~Baby, ~Home, ~Party. Bookmark the permalink.